Excel is the most powerful tools used in calculation. So it is necessary to learn about the excels. Here we cover the basic formulas, operators and keyboard shortcuts. Finds the sum of the data in cells A1 through A5. Finds the sum of the data in cell A1 and A5. Finds the average of the data in cells A1 and A5. Budget”, otherwise put the Word “OK”. Enters today’s date into the worksheet. **Note: Do not put any spaces into your formulas, or you will get an error message! wrong. Open the formula and correct the cell reference. formula and correct the cell or function name. value. Remove the referenced cell from the formula or adjust the cell contents so it contains a number. statement so the calculation is only done IF the denominator is greater than zero. or symbols. The operators can also be combined with functions to calculate more advanced formulas. automatically sum (add) the cells. Excel will highlight the cells that appear to be intended for the sum function. Edit, Repeat. Works while not in Edit mode. Calculate all worksheets in all open workbooks, regardless of whether they have changed since the last calculation. Rechecks dependent formulas and then calculates all cells in all open workbooks, including cells not marked as needing to be calculated. Select the current region around the active cell. In a PivotTable report, select the entire PivotTable report. Start a new line in the same cell. Fill the selected cell range with the current entry. Select the array containing the active cell. Select all cells that contain comments. In a selected row, select the cells that don’t match the formula or static value in the active cell. In a selected column, select the cells that don’t match the formula or static value in the active cell. Select all cells directly referenced by formulas in the selection. Select all cells directly or indirectly referenced by formulas in the selection. Select cells that contain formulas that directly reference the active cell. Select cells that contain formulas that directly or indirectly reference the active cell. Select the visible cells in the current selection. With multiple cells selected, select only the active cell. If the worksheet contains data, CTRL+SHIFT+SPACEBAR selects the current region. CTRL+SHIFT+SPACEBAR a second time selects the entire worksheet. Displays the Paste Special dialog box. 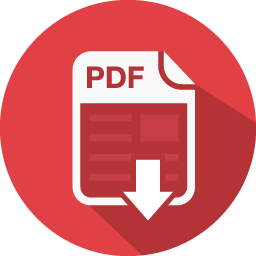 Available only after you have cut or copied an object, text, or cell contents on a worksheet or in another program.